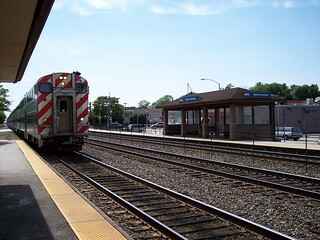 Home > Railroads > Metra > BNSF Railway > Harlem Ave. 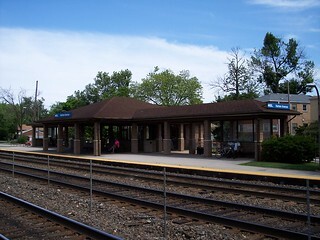 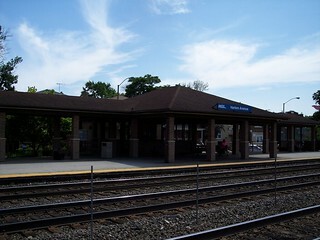 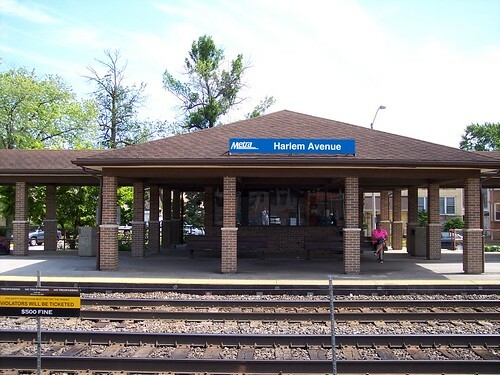 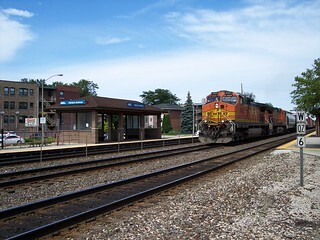 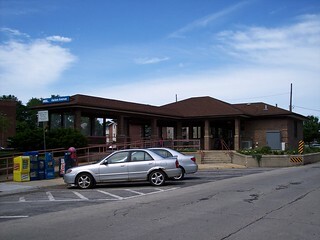 The Harlem Avenue station. 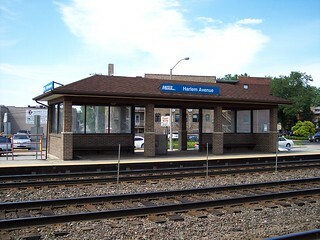 We took a short ride here from Union Station in 2015. 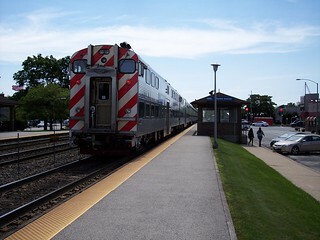 Our train to Union Station arrives, and our train from Union Station departs.